Spent a fun morning yesterday, making myself a dress with vintage cloth given to me by my sister-in-law. It’s an altered Merchant & Mills Camber Dress pattern, sleeveless, and with added pockets into the side seams. 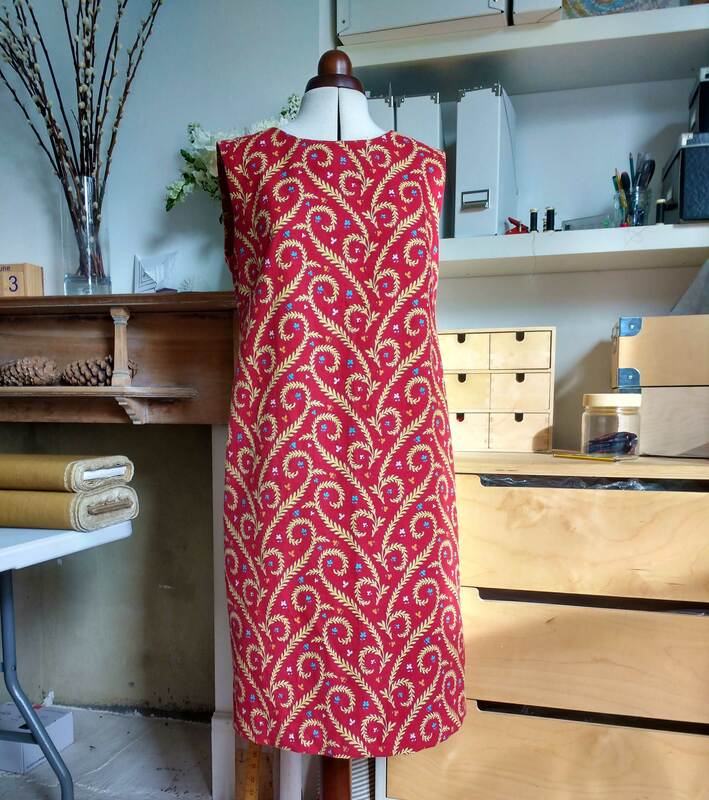 This entry was posted in Studio posts and tagged Dressmaking, Merchant and Mills Dress, vintage fabric on June 14, 2018 by lisabenn.